We will continue disrupting the market in a way unparalleled in the multifamily world to innovate and exceed the future technology needs of the industry. Property Solutions, the multifamily industry’s newest Platform as a Service (PaaS) provider, announced today it has reached $100 million in recurring annual revenue, making it the fastest growing software company in real estate. Property Solutions is one of a few technology companies to scale to this size without raising venture capital. In 2014, the company reported earnings of $71 million, a 42 percent increase in revenue growth from 2013. The rapid revenue growth is driven by Entrata™ PaaS — the recently-launched property management software application with full purchasing and facilities management capabilities. The Entrata platform offers the multifamily property manager more than 20 technology solutions behind a single login on a unified code base. Ten percent of the 3 million apartment homes using the company’s tools have moved to the full property management solution. In addition, nearly 100 multi-family solution providers have integrated with the open – and free – Entrata API. 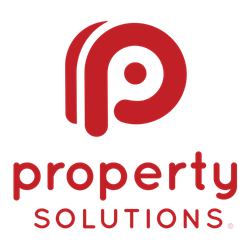 Property Solutions processes more than $14 billion in annual rent payment volume. In addition, the Property Solutions Leasing Center, a call answering service established in 2012 to perform property-level tasks for communities nationwide, has grown more than ten times since its inception. The service has processed more than 1.8 million calls and 200,000 work orders, and assisted in the signing of more than 600,000 leases. Founded in 2003, Property Solutions is the most comprehensive property management software application, offering a wide variety of online tools including websites, utility billing, renters’ insurance, payment processing, lead management, lease signing, accounting, and resident management. Property Solutions' Entrata™ PaaS currently serves more than 20,000 apartment communities nationwide, including 34 of the NMHC Top 50 Largest Apartment Managers. For more information, go to http://www.propertysolutions.com.